Note: MOST Fridays and Saturdays. Jazz/Funk/Reggae and more. Check sponsor's website for latest updates. We believe in building community with a strong emphasis on intentional neighborhood development. But even if you don't work or live in our hood, we welcome you as a full member of our rich and open community. We're happy to serve as office, second home or "third space," for so many folks from all over our city and even beyond. 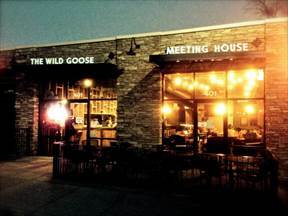 "There are places you walk into that you instantly feel at home.... 'The Goose' is one of those places"